A bipartisan group of ten U.S. senators filed a marijuana banking amendment to a broader financial services reform bill that is on the Senate floor this and next week. At least four official state Democratic Party organizations tweeted in support of marijuana law reform this week. The U.S. Drug Enforcement Administration tweeted praise of notoriously racist historical drug warrior Harry Anslinger. 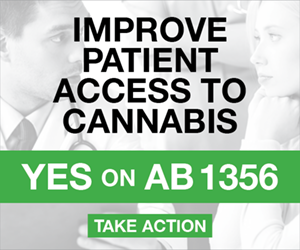 The U.S. Senate comprehensive medical cannabis bill got one new cosponsor, for a total of 11. 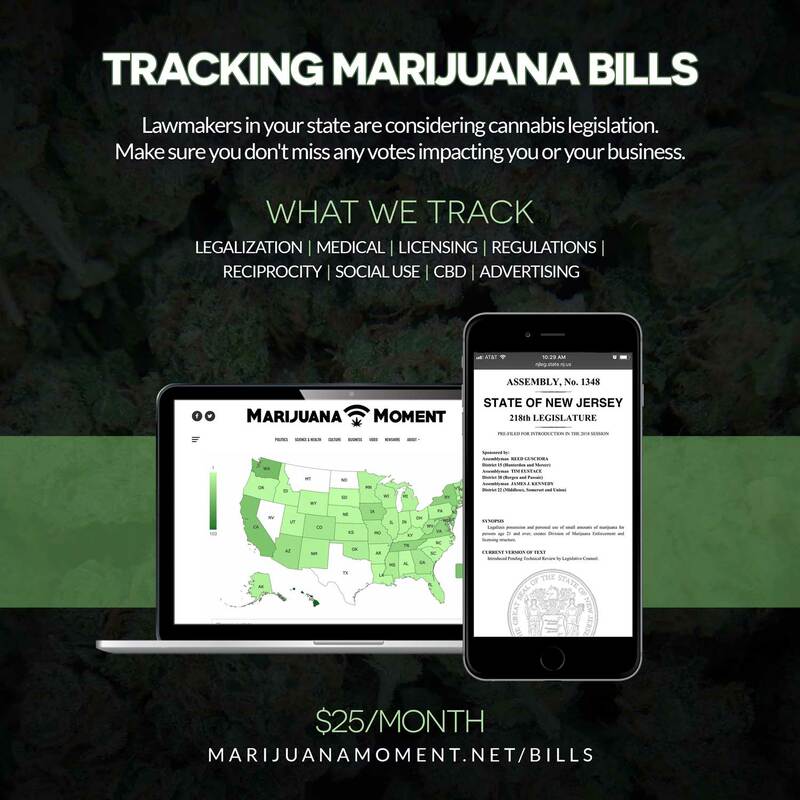 The U.S. House bill to deschedule marijuana and punish states with racially disproportionate enforcement got one new cosponsor, for a total of 25. Maryland Democratic congressional candidate Adem Bunkeddeko is calling for marijuana law reform. Florida lawmakers are withholding more than $1.9 million in salaries and benefits from the Department of Health over medical cannabis implementation delays. 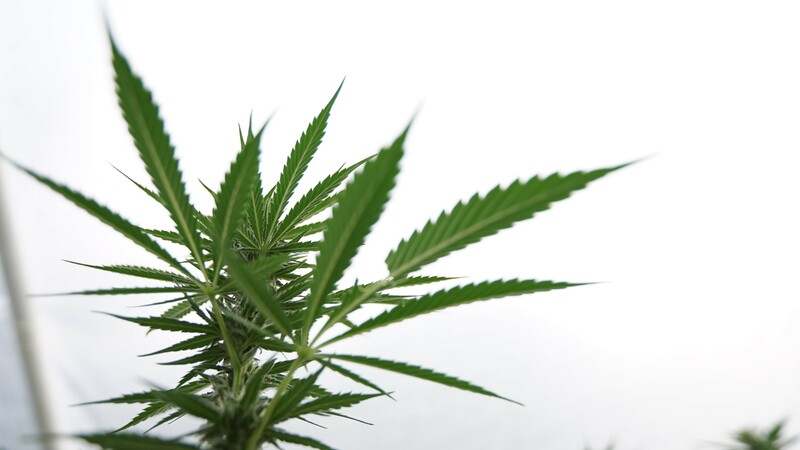 And the legislature approved a bill to remove a requirement that a medical cannabis cultivation license be awarded to a member of the Black Farmers and Agriculturalists Association. 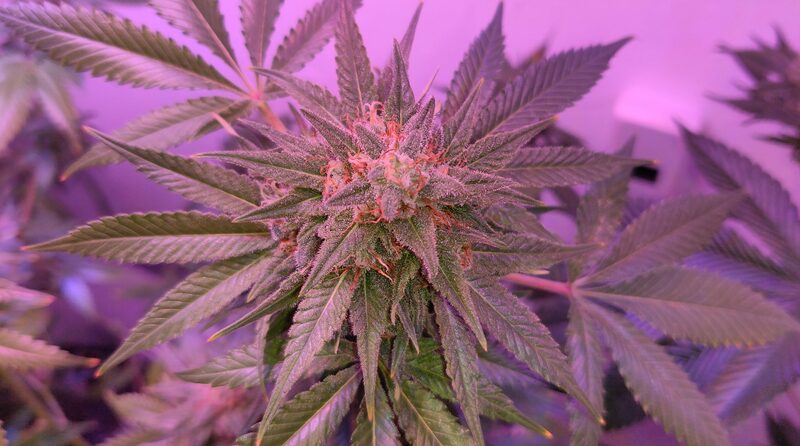 The West Virginia Senate Judiciary Committee amended a bill to allow state regulators to approve the smoking of medical cannabis and create a credit union to serve the marijuana industry. Ohio Democratic gubernatorial candidates debated marijuana policy. Colorado Democratic gubernatorial candidate Jared Polis, currently a congressman, tweeted about the legal marijuana industry’s economic benefits. Pennsylvania Republican gubernatorial candidate Laura Ellsworth opposes legalizing marijuana. The Maryland House of Delegates voted 121-16 to approve legislation to expand medical cannabis cultivation licensing with the aim of increasing minority ownership in the industry. New Jersey’s health commissioner told lawmakers that the state must improve its medical cannabis program. The Georgia Senate is moving to form a medical cannabis study committee in lieu of enacting new expansions to the state’s limited CBD law this year. A Utah House-passed bill that would have delayed implementation of a medical cannabis ballot measure died in the Senate. A key Kentucky senator says he’s offended that members of the state’s congressional delegation, including Senate Majority Leader Mitch McConnell, did not respond to his request for advice on medical cannabis legislation. North Carolina’s agriculture commissioner slammed federal intervention in state industrial hemp programs. Hawaii lawmakers filed resolutions urging state and local police to “recognize that enforcement of cannabis laws under federal law is a federal function and decline to work with federal agencies in enforcing federal laws with regard to medical cannabis use allowed in Hawaii.” Separate resolutions urge officials to reschedule marijuana under state law. The speaker of the New York City Council says he doesn’t believe the NYPD’s explanation for racial disparities in marijuana enforcement. The Louisville, Kentucky Metro Council adopted a resolution urging state lawmakers to legalize medical cannabis. 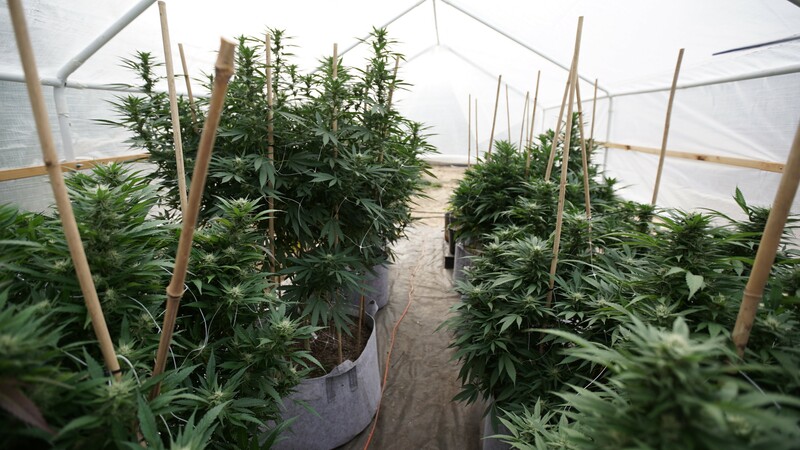 The Oakland, California City Council is considering a proposal to prevent cannabis companies that own real estate from displacing existing tenants. The Lumberton, Mississippi police chief who was filmed smoking marijuana has resigned. The chair of Canada’s marijuana legalization task force is disappointed that the government’s bill doesn’t include edibles. Lawmakers in Malta are poised to pass medical cannabis legislation. The National Cannabis Industry Association is launching an effort to unite state-based marijuana trade groups. A poll found that 61% of American adults believe drug testing should be required of applicants for all or most jobs. The Pittsburgh Post-Gazette editorial board says officials should pursue drug overdoses as homicide cases against dealers. 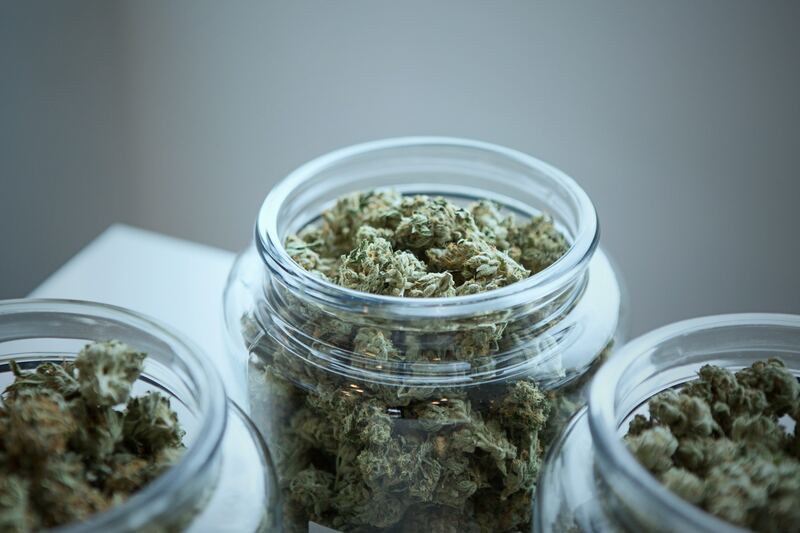 The U.S. Securities and Exchange Commission filed fraud charges in an alleged scheme to inflate the share price of Israeli medical marijuana company OWC Pharmaceutical Research Corp’s stock. Helix TCS Inc. and BioTrackTHC are merging. The Association of Health Care Journalists conference next month will feature a session on covering marijuana. The New Yorker looks at a growing underground marijuana dinner party scene in New York.